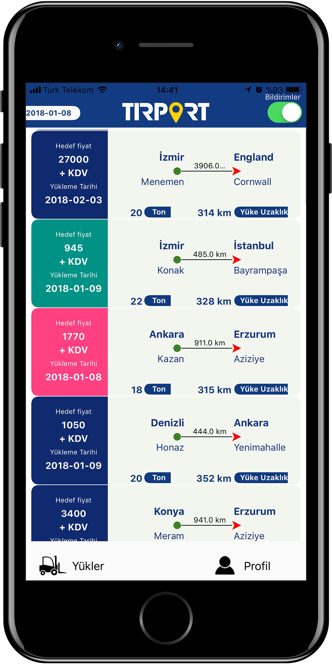 TIRPORT is a new generation digital platform that enables, freight owners and shippers to find carriers on the most suitable and rapid conditions; individual and corporate shippers to easily book freight for their return path via smartphones. TIRPORT provides the connection between shippers and carries on real time. In this manner, neither shippers need to look for carriers nor shippers are required to wait for freight. TIRPORT ends suffering of carriers about booking freight for return path. Carriers using the platform will observe that they book freight easier with each passing day. They will take advantages of opportunities provided by the system.